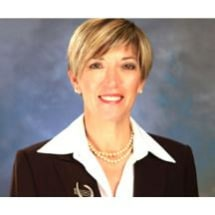 Dorie A. Rogers, CFLS, was born in Worcester, Mass in 1953. Her parents divorced when she was eight (8) years old during a time when divorce was considered unacceptable. Raised in a single parent home and later a blended family that moved to Washington DC and then Florida, Ms. Rogers understands first-hand the emotional and financial impact divorce has on families. Ms. Rogers put herself through college and law school, first obtaining degrees in Associate of Arts in Liberal Arts and Associate of Science in Mental Health Technology. She obtained her Bachelor of Science and Juris Doctorate at Western State University, College of Law. Prior to her legal profession and during law school, Ms. Rogers was employed by an acute psychiatric hospital working with adolescents and adults inpatient a therapeutic setting. In her law practice she employs her psychological training in her case assessments with clients. Licensed since 1981, Ms. Rogers has devoted her legal career in Orange County to family law and helping families negotiate the psychological and financial pitfalls of divorce. After the birth of her son Ms. Rogers took a sabbatical to enjoy parenthood. Ms. Rogers is qualified as Minor's Counsel on the Orange County's Minor's Counsel panel. Besides her effective representation in high conflict custody cases with psychological issues and experts, Ms. Rogers is experienced in the litigation and settlement of high asset financial divorce cases. Working with forensic experts, her goal is to maximize a client's property division and to minimize the resulting tax implications. Ms. Rogers is competitive not only in her legal profession but her recreational time as well. She is an avid sailor who enjoys ocean racing, having competed in the Newport to Ensenada International Yacht Race the past three years, among other regattas. Ms. Rogers enjoys running marathons, weight training and gourmet cooking. She's sat on various non-profit boards and leadership organizations in her religious community. Ms. Rogers advocates for her clients believing that their lives should not be destroyed by divorce but should be "positively transformed" by it.